said Iranian Foreign Minister Mohammad Javad Zarif, said his country plans to cancel visas for holders of the identity of the Chamber of Commerce in Iraq. Zarif said during an economic seminar between Iraqi and Iranian traders held in Baghdad on Monday, attended by Iraqi Finance, Electricity and Communications Ministers Fuad Hussein, Luai Khatib and Naeem Thajil, that "the entry visa to Iran will be canceled for merchants holding the identity of the Chamber of Commerce." 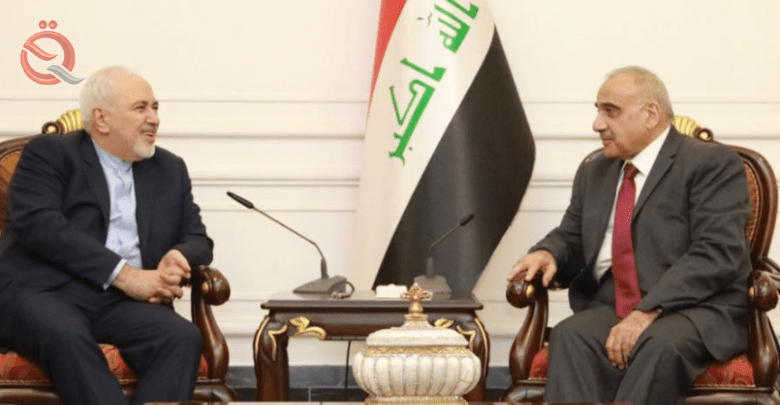 Iranian Foreign Minister Mohammad Javad Zarif arrived in the Iraqi capital Baghdad on Sunday, while President Barham Salih, Prime Minister Adel Abdul Mahdi and Parliament Speaker Mohamed Halabousi met with several political leaders.